If there’s one lesson you’ve learned so far, it’s that nothing happens unless you take action. 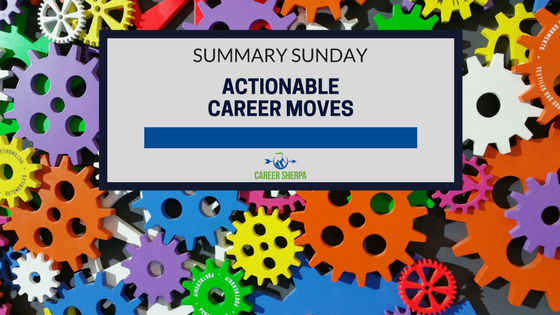 This week’s summary is filled with actionable career moves you can take right now to get headed in the right direction. From how to create a better online presence, or learning how to use Evernote, to building successful habits, you’ll find information to help you drive your job search and career forward! Have you wanted to improve where your name shows up in search results? There are tons of articles out there, but it can be confusing. BrandYourself is the tool I’ve used for years to help boost how my name ranks when searched on Google, Bing or other search engines. Their business is dedicated to helping people show up in search. That’s why I’m excited to hear about their “university.” Learn everything you can about how to build the best online presence possible! It’s easy now, if you use BrandYourself’s information. If you use Instagram, why not use it to market yourself during job search?! Here are some ideas on what to post and how to use Instagram for your job search. by Lolly Daskal | Inc.
“Successful people are simply those with successful habits” says Daskal, so focus on making some of these 18 things your habits. Before you start a new job, be sure you review this infographic listing 12 things you NEED TO KNOW before you start your new job! 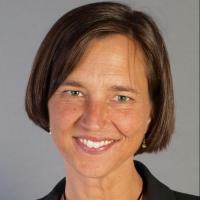 Meg is a branding expert and colleague I respect! This post provides information to help you understand the importance of having the right online presence. I am honored she referenced my article in here. Mark and I talk about different strategies to help empower job seekers and get them out of a rut. You can about the topics we’ll cover and you can also listen to the podcast! UPDATE: Congratulations to Finley Green! She won the book! I’ll share the link to the winning 5 videos with you when it’s available.